It’s time again for our (eighth) annual digital Year in Pictures. We hope our greetings find you well as 2012 comes to a close. Kaweah is now officially waaaay over the hill, so we have been spending more quality time with her and letting Kaweah do what makes her little puppy self happy. 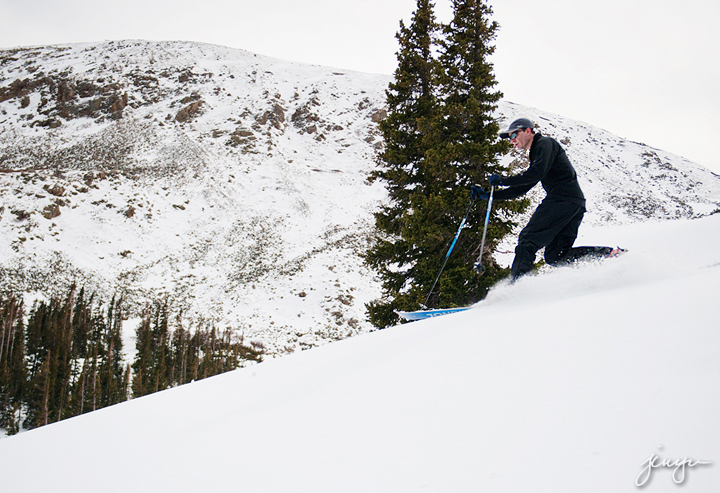 Our fondness for Colorado grows each year as does our list of places to explore by foot or by ski within the state. Here are some of our favorite photos from 2012. Feel free to leave a comment at the bottom and visit previous years listed in the sidebar. We spent New Year’s Day ski touring with Kaweah in the Indian Peaks Wilderness of Colorado. Tandem. 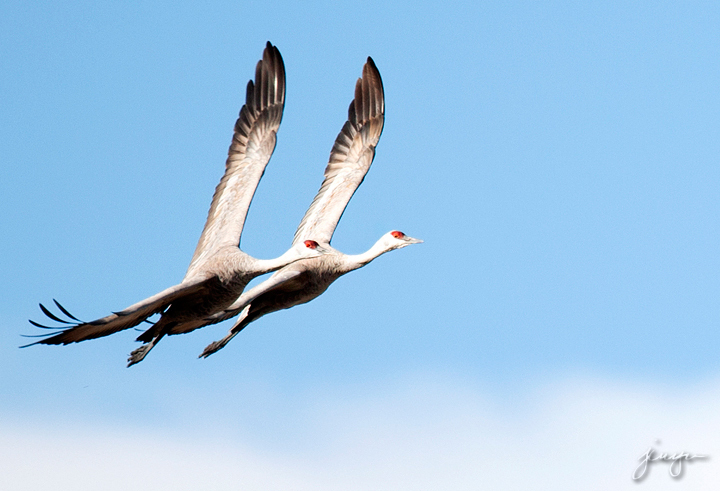 Sandhill crane migration in Monte Vista, Colorado (March). 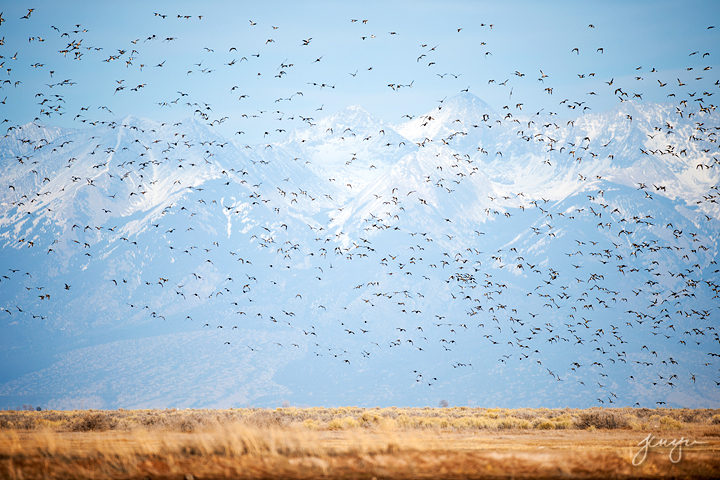 Ducks take flight with the Sangre de Cristos as backdrop (Monte Vista, Colorado). 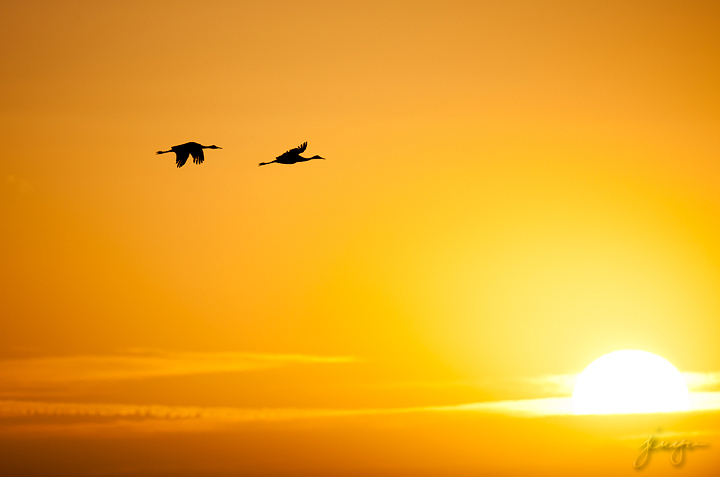 Sandhill cranes at dawn after waiting for hours in the freezing cold for sunrise (Monte Vista, Colorado). Jeremy makes the most of a lean snow year, backcountry skiing in April (Indian Peaks Wilderness, Colorado). 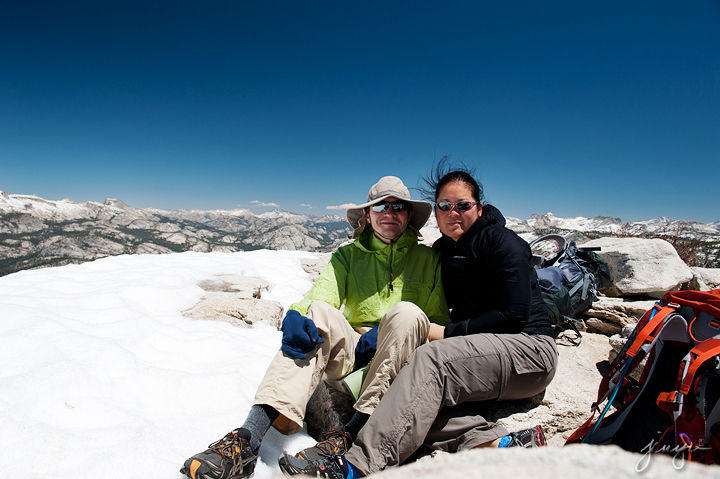 Jeremy and I started a week-long trip in California with a backpack to Cloud’s Rest in Yosemite National Park (May). 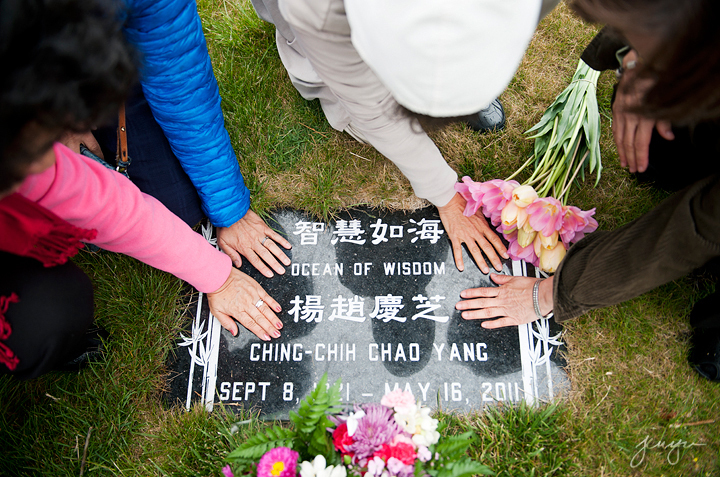 My mom and aunts pay their respects on the one-year anniversary of my grandmother’s passing (California). 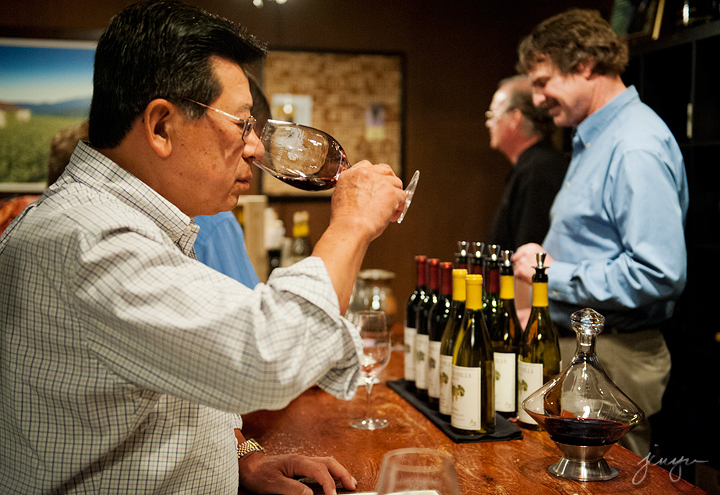 We took Mom and Dad on a day trip to California wine country. Two days later, Jeremy and I were on Sandia Crest in New Mexico to photograph the annular solar eclipse with a jillion other eclipse watchers! 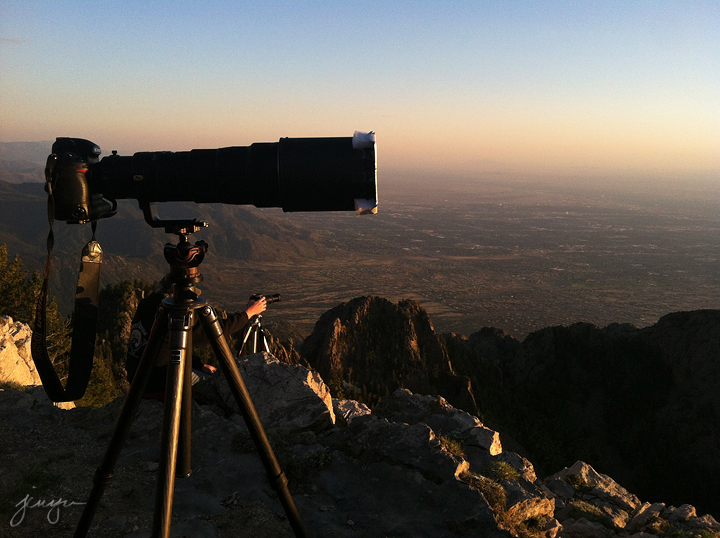 Here is my setup at the eclipse maximum (500mm f4 Nikkor w solar filter, lens courtesy of Pro Photo Rental). 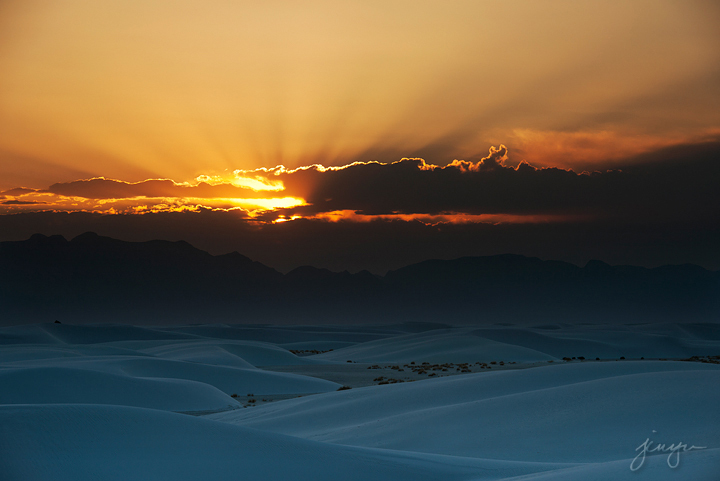 A composite of the annular eclipse as the sun set over the Rio Grande Rift Valley. 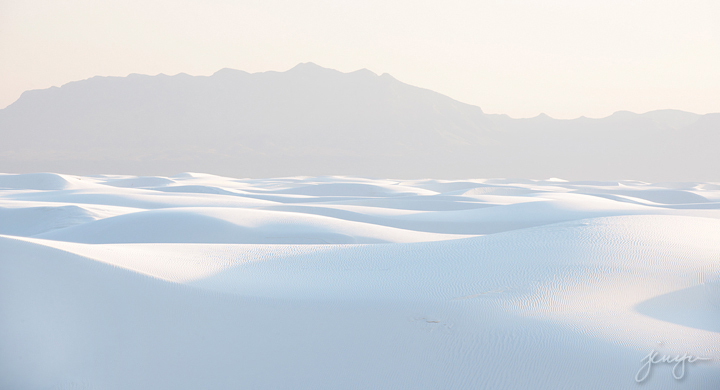 After the eclipse, I dropped Jeremy off in Socorro for a meeting and I continued south to White Sands National Monument. It’s white (and hot)! Sunset and relief from the heat. Jeremy held the second annual Boulder Extragalactic Astrophysics Retreat in June, hosting the final day at our mountain home. SCIENCE! Colorado suffered severe drought and devastating wildfires before summer even started. The wildflowers bloomed early when the rains finally arrived in early July. 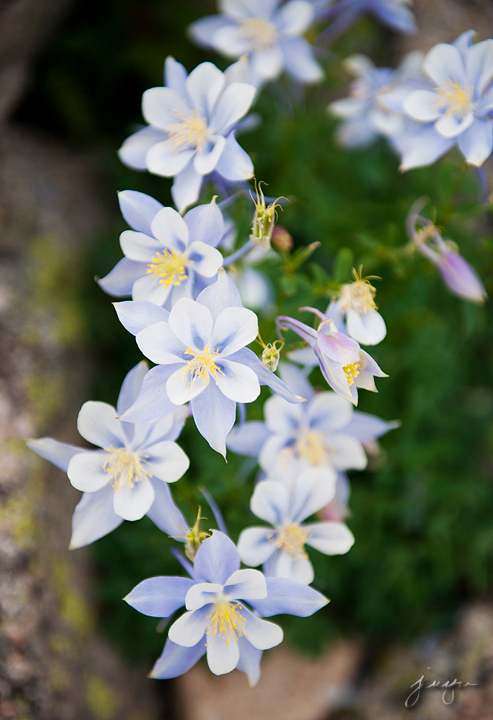 Blue columbines in the Indian Peaks Wilderness. 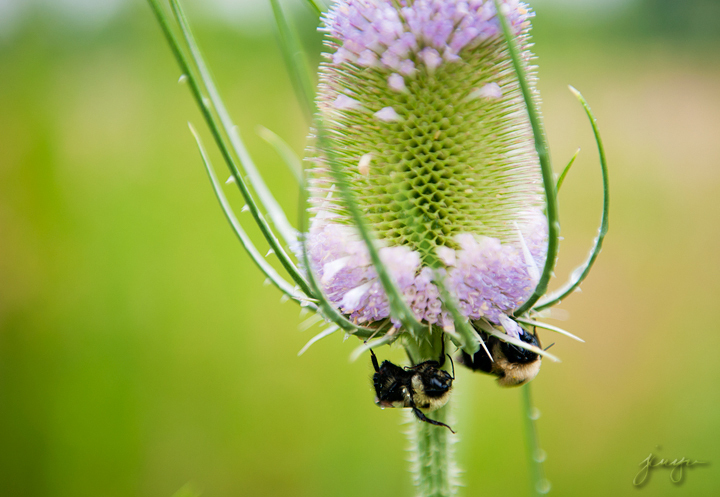 Bees find shelter from the rain under a teasel bloom. 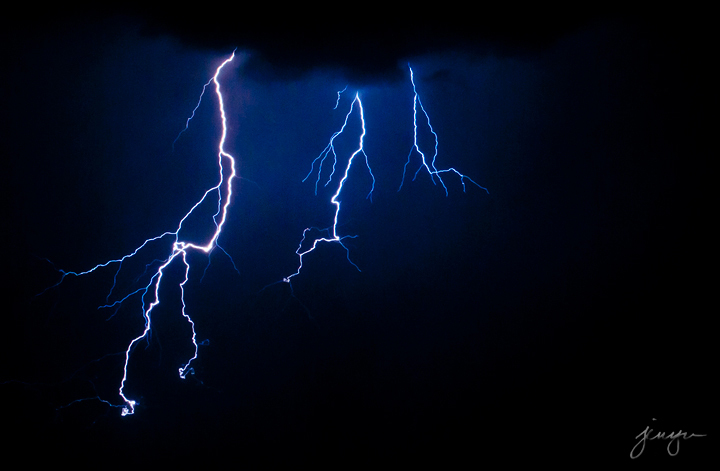 We welcomed the wondrous rain storms and light shows. 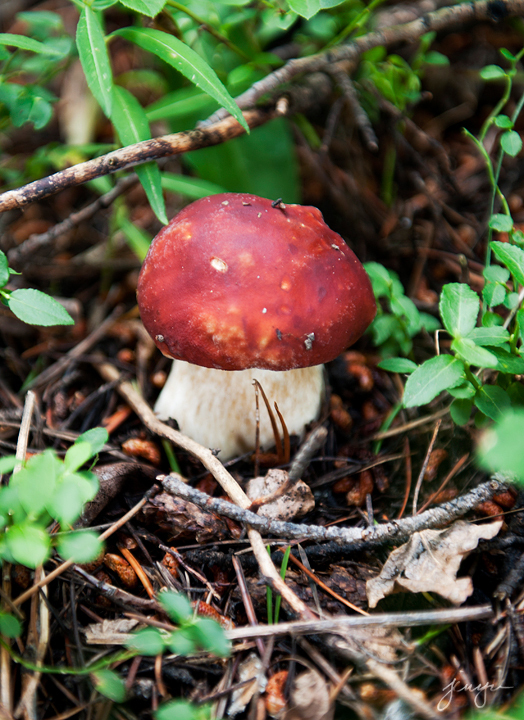 …and mushrooms. My friend (a professional forager) taught me how to forage for porcinis in the mountains. Boletus Edulis in situ (undisclosed location). August brought the Perseids meteor shower. 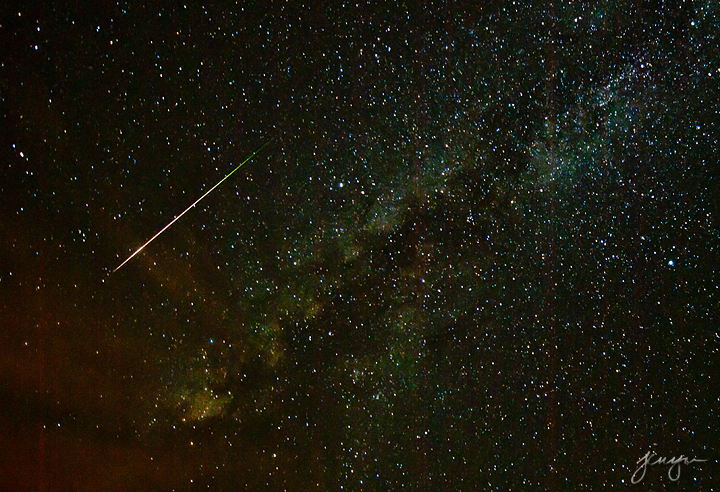 A meteor and the Milky Way from our deck. 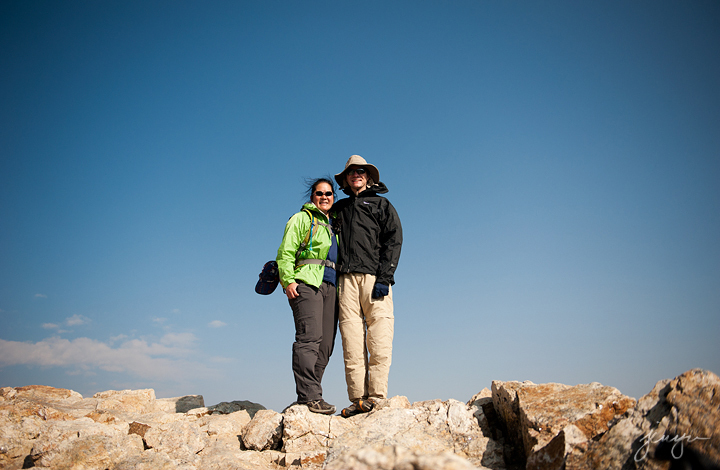 On the summit of Mount Democrat, the first of three fourteeners we hiked one windy summer morning. 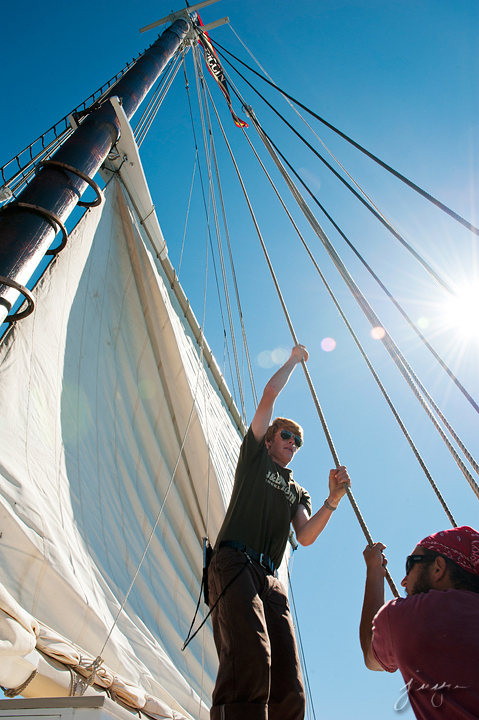 I spent the last week of August getting a tour of the food scene in Portland, Maine and then hopping aboard the historic schooner J&E Riggin for a four-day cruise with Chef Annie Mahle and crew. Watching the sun go down from the water. Fall colors came early to Colorado this year, and they were spectacular! 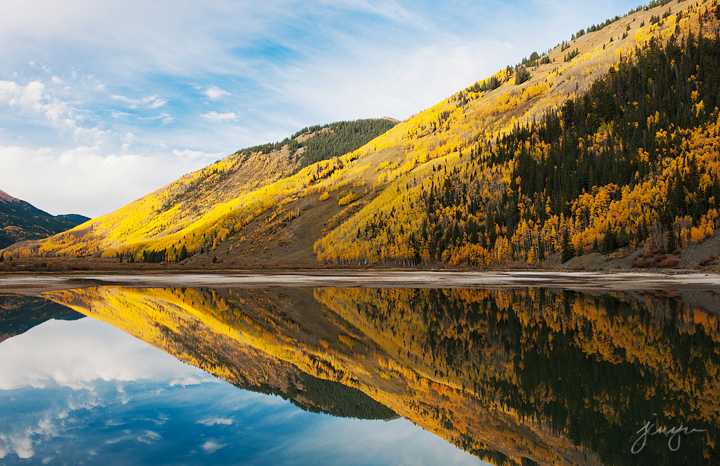 Aspens, mottled light, and reflections above Ouray (September). 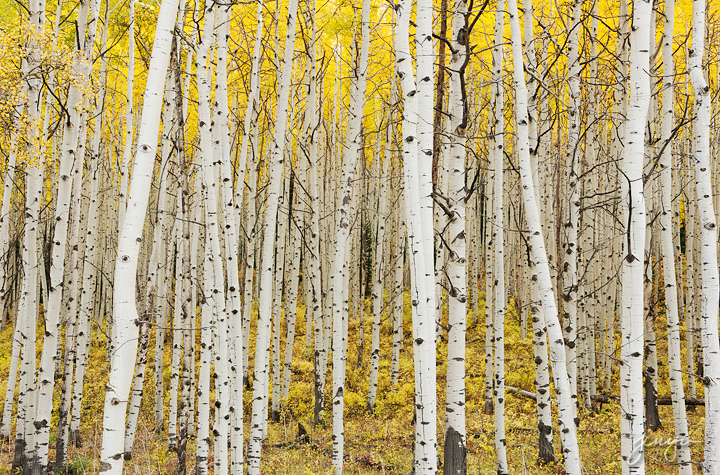 A golden stand near Crested Butte, one of our favorite places in Colorado. 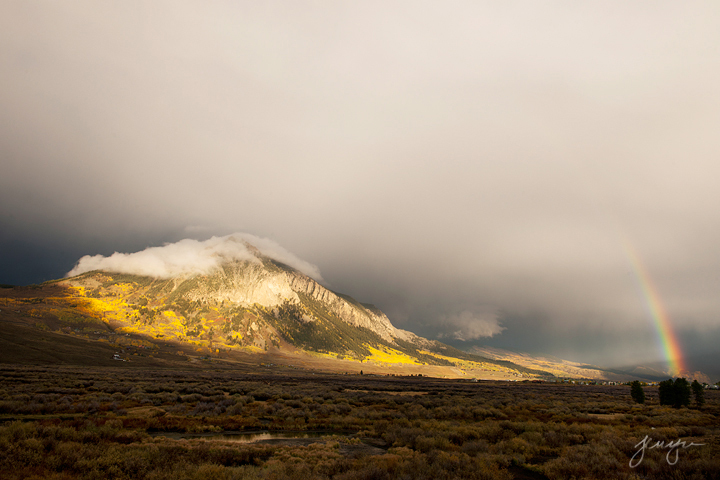 Rainbow and clearing storm over Mount Crested Butte at sunset. 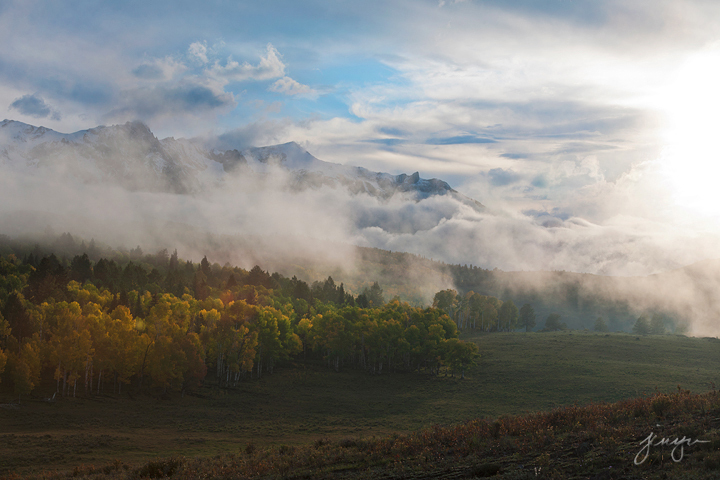 Clouds lift on a low sun over the Sneffels Range (Colorado). 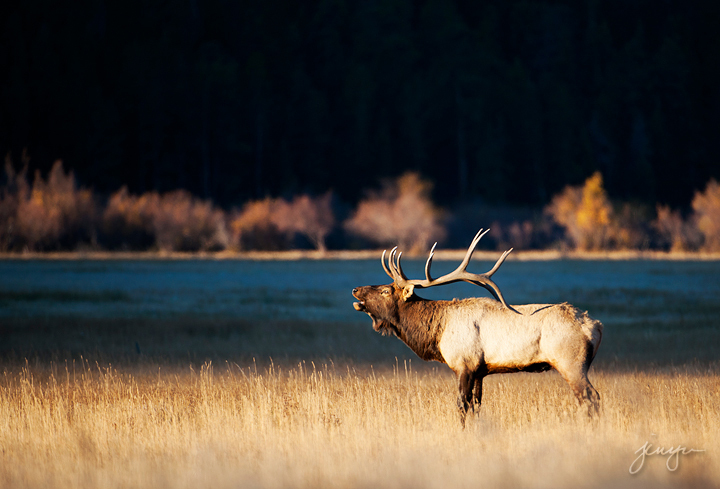 A bull elk greets the first rays of morning, Rocky Mountain National Park, Colorado. 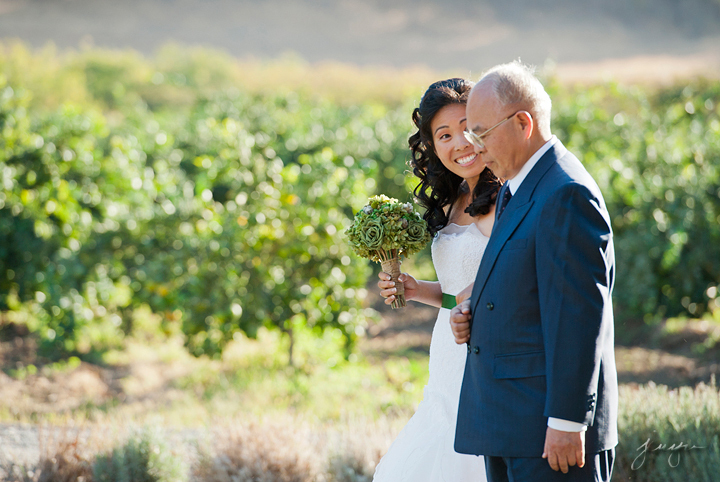 I returned to California in October with my shooting partner, Jason, to photograph a lovely wedding on an organic farm. Kaweah celebrated her 14th birthday in December (om nom nom). 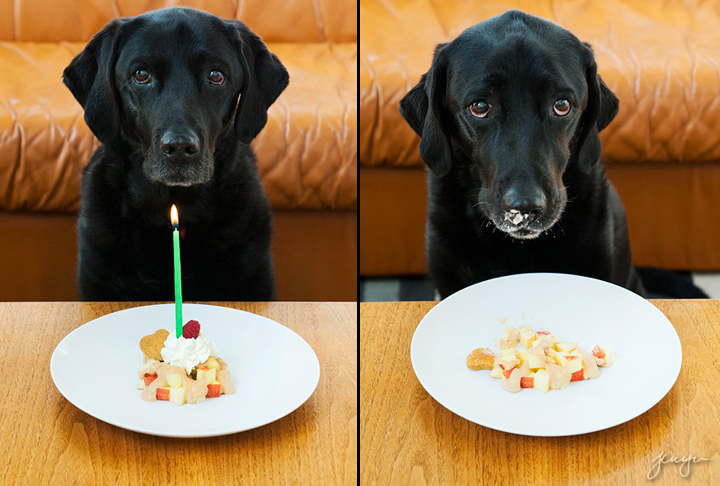 Happy birthday, baby puppy! Wishing you all a healthy, happy new year! In loving memory of my dear Barbara Harris. There’s more over on The 2012 Cutting Room Floor. Happy New Year to you, Jeremy and Kaweah! As always, your pictures are outstanding. I loved every one of them, even the ones that didn’t make the cut to this page. Health, happiness, success and joy to you all! Hugs! What a lovely collection (as always!). Didn’t see you nearly enough in 2012. Here’s to seeing you in 2013! Hugs to you and Jeremy and extra skritches for Kaweah. 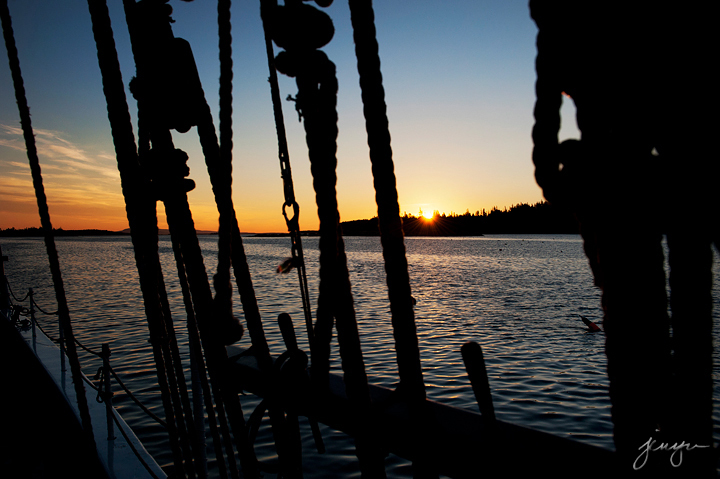 Bubbles – I love seeing what you’ve been up to through your beautiful photographs. Truly amazing. I wish you, Jeremy, Kaweah and your family love, peace and joy in the new year! Merry Christmas and Happy New Year to you and Jeremy (and K!). I hope 2013 brings you plenty of snow to ski, great scenery to capture, and, above all, happiness (which generally flows from the first two, I think). These photos are so breathtaking… The places you visit and see. I had to look at them in detail. Beautiful. Merry Christmas and happy 2013. Hope I can see you again in April! And thank you for remembering Barbara. 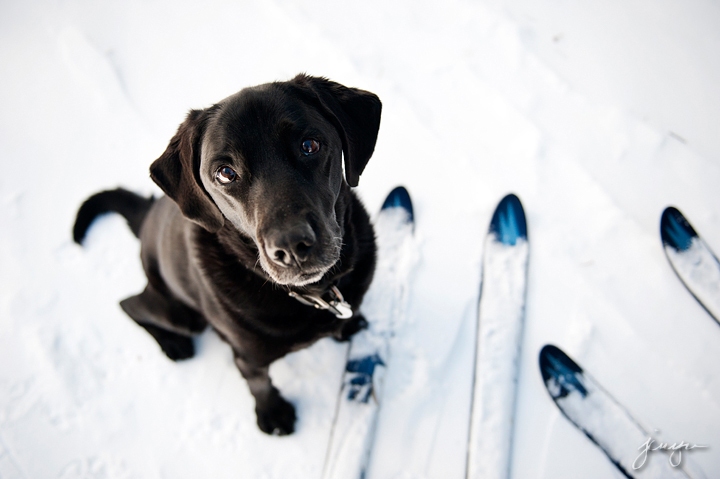 Have a great skiiiiiing season and happy new year! 2013 will rock! Happy New Year! What an adventure filled 2012 for you all. Lots of beautiful places and quality time outdoors- the best kind of year! Hope that 2013 brings more of the same! I like the mushroom. A LOT. I’m just delighted to be included in this delicious feast for the eyes! Just stunning sights and beautiful memories for you and yours… I am so happy to have met you, Jen, and look forward to much more of the world thru Jen’s eyes in the years to come. Here’s to a wonderful 2013!! Jen and Jeremy, what amazing photos. I am always inspired by your zest to see and capture all the world has to offer. I had a sad moment when I got out my cards saved from last year to update addresses and on the very top of the pile was a card from dear Barbara. Looks like you had a wonderful 2012, and I wish for you a marvelous 2013. 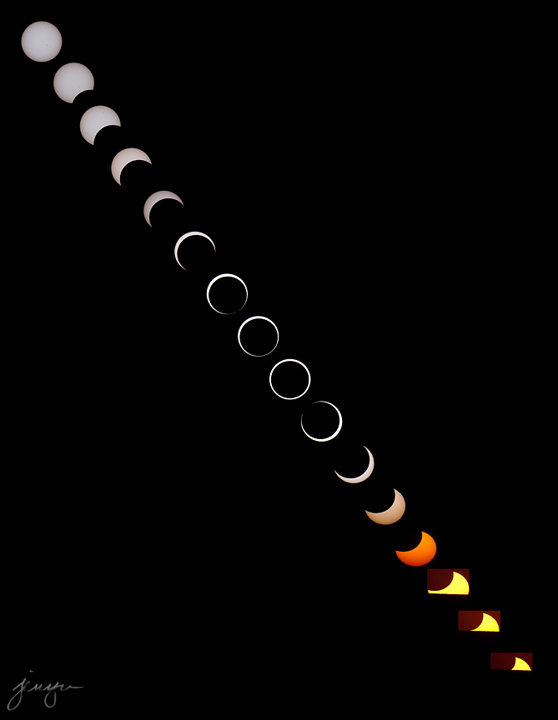 The photos of the eclipse (and all the other photos, as well) are breathtaking! Jen, there are so many magical moments here and so much beauty. Well done, friend (as always). Thank you for sharing your expertise with us in such a lovely way. Hoping I get an in person hug in 2013! Jen, what gorgeous and moving images. My favorite was the one of hands on your grandmother’s grave, even though all the nature shots are spectacular. Love you guys! Thanks for sharing all the beautiful photos. I particularly like that first one with the birds. I love these photos! And love Kaweah’s happy sweet face and smile. Hope you guys have wonderful holidays. I hear there is fantastic photo-taking to be had in Michigan…. Thank you so much for sharing your year in photos! Absolutely gorgeous, and makes me hope that we end up in CO for JD’s med school (fingers crossed). Wishing you a wonderful 2013 – may it be filled with love, happiness & adventure! I am always amazed by your pictures. Every year i am waiting for this best of the best selection. Normally at work, i like executive summary, short and sweet to the point, but nor for art, i wish there are more ……………as usual, wonderful and beautiful pictures and the thoughts and time behind them…………simply lovely, thank you for sharing your wealth. Amazing photos! A treat for us each year, Jen. Thanks for sharing them. A beautiful year…thank you for sharing with us. Hard to pick a favorite. TPH loves the eclipse and the sand cranes. I like the birthday party with Kaweah and the elk. 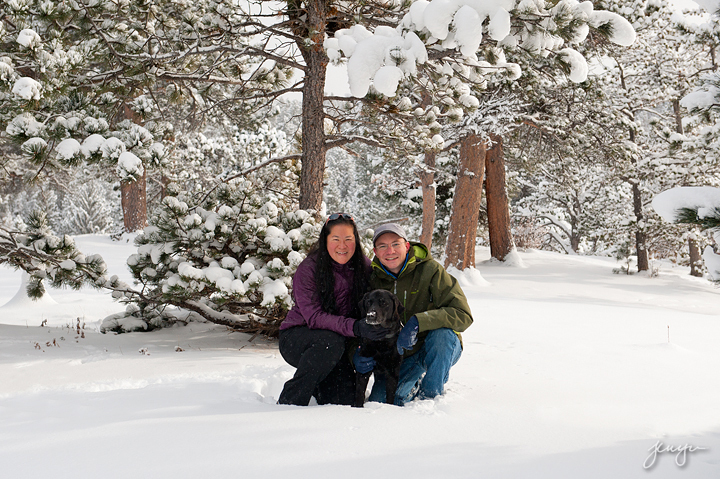 Wishing you and yours a healthy, happy, snow filled new year. Gorgeous gorgeous pictures. Wish Barbara was still with us. Hope you guys have a fabulous Christmas and all the best for the new year. Such beauty. Thank-you for sharing. Happy New Year to all three of you and your families. 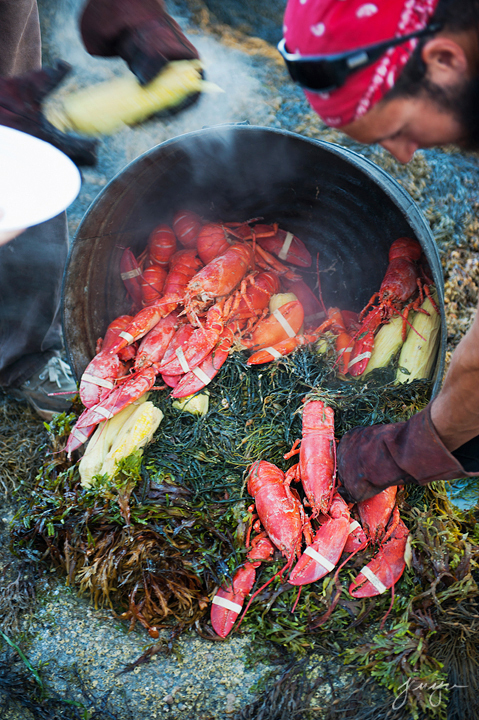 Once again your photographs of nature, people & food lift my spirits with the incredible beauty as seen through your eyes. The shots of sweet Kaweah always make me smile, I don’t think a sweet pup has ever been loved as much as your little girl. I wish a safe & happy holiday for you 3 & all your loved ones. I don’t remember how I found your blog, but I have been honored to follow you for what I believe has been 2 years now. It is such a pleasure to see the love you and Jeremy have for each other and that you both have for your little girl Kaweah! I think of her every time I love on my grand puppy (puppy, ha, she’s almost 6) Rowdy. They love us so purely. I hope your puppy girl has many more birthdays. Your photographs are truly breathtaking! Best wishes for health and happiness in the upcoming year for the three of you and for your parents. Thanks for sharing these lovely photos, Jennifer & Jeremy. They gave me such a vivid sense of your life, a magical and adventurous 2012! What soulful eyes Kaweah has. Happy New Year to the three of you! Unbelievable. Once again, you have stunned me with the beauty of your photographs. Thanks so much – I always so look forward to getting your ‘card’, and hearing your voice through the captions. Glad you and Jeremy (and Kaweah) are doing well, and enjoying life. I look forward to some eventual meeting! Take care, and happy new year! 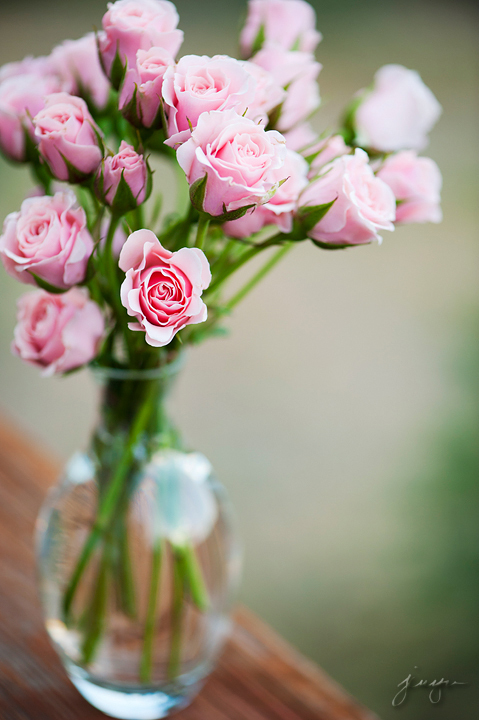 Thank you for always sharing your beautiful photos & stories from your sweet life! Happiest New Year to you, Jeremy & the sweetest Kaweah! I always think that the year has absolutely blown by so quickly that all of the events blur. But I love to just stop and see moments like these, and remember that there were a lot of really good things that happened along the way. All the best to you and the Mr. and pup in the New Year. I adore you! 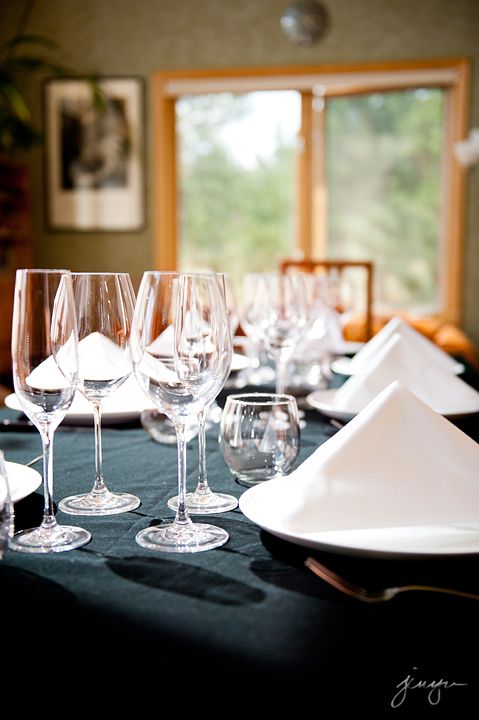 Thanks so much for your beautiful photos and food blog. I love it. We vacation every year in the RMNP. Hope 2013 brings much needed rain to your neck of the woods and to ours – KS. Happy New Year to the greatest trio. Amazing to think how long we’ve been friends and we’re grateful for blogging that brought us together. Wishing you all the greatest of 2013 and continued to be filled with love, friendship and family!!! hugs and love to you all!!! Finally came back and spent some time on this. As usual, your talent takes my breath away, Jen. Thank you for sharing your life and your gorgeous images with us. May 2013 be the best yet!